If you missed Seattle Marimba Quartet’s stellar performance at Resonance at SOMA Towers earlier this month as part of On Stage with Classical KING FM, we captured a couple of videos that will wrap you in a warm embrace of sound. First, their own arrangement of Eric Whitacre’s Sleep and a great “rethink classical” portrayal, reading straight from the pages of Ravel’s String Quartet score. 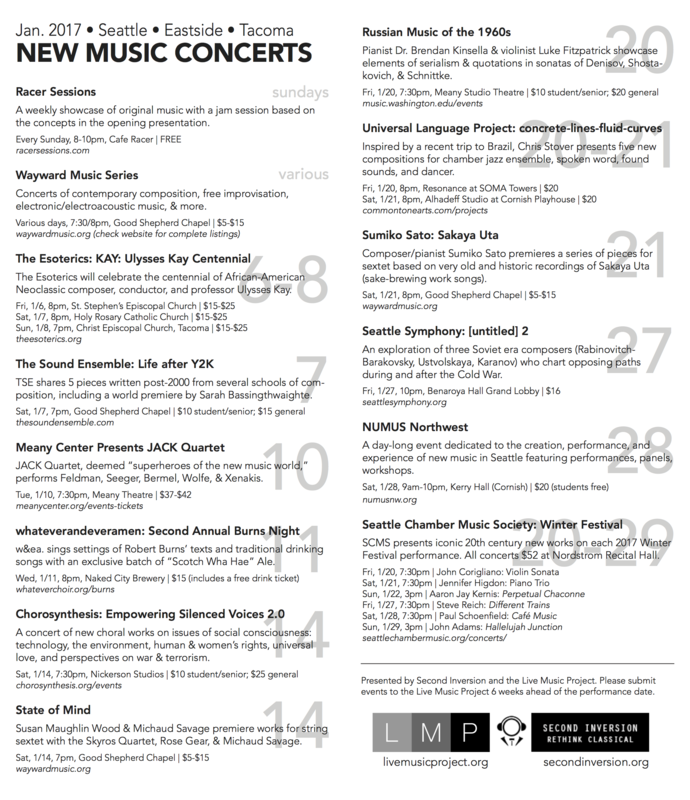 If you love outside-the-box classical concerts, there are two more on KING FM’s season this year! Saturday, April 15, join the Seattle Rock Orchestra Quintet with Tamara Power-Drutis for a modern take on of art songs and Saturday, May 13, join Edmund Stone, host of The Score and pianist extraordinaire Michael Refvem for a LIVE version of this famous radio program featuring stories, visuals and live music exploring the finest in cinema scoring. Both performances begin at 7:30pm at Resonance at SOMA Towers in Bellevue. Click here to learn more and buy tickets!